Cab-hailing app Ola, run by ANI Technologies Pvt. Ltd, has raised $50 million (around Rs 360 crore) from two new Chinese investors in a fresh round of funding. The investors are Hong Kong-based Sailing Capital and China-Eurasian Economic Co-operation Fund. The two firms invested via Autofortune1 Ltd and Odyssey Bravery Ltd, which are registered in the British Virgin islands, Ola's filings with the Registrar of Companies (RoC) show. Sailing Capital was set up in 2012 as a private equity fund by Shanghai International Group for making overseas investments, according to the fund's website. Shanghai International is a state-owned firm, its website shows. China-Eurasian Economic Co-operation Fund is a state-backed investment fund that was announced by Chinese president Xi Jinping in 2014 as part of his Belt and Road Initiative, according to the fund's website. The initiative is a massive Chinese programme aimed at investing in companies and projects across countries in Asia, Africa and Europe. It is not clear if the investment by the two Chinese investors is part of a larger funding round. Ola declined to comment. Both investors, who have invested $25 million each, will hold a combined stake of 1.2% stake in Ola, as per the filings. Financial news and data platform Paper.vc first reported the development. The development comes less than a year after Ola, in October last year, raised $1.1 billion (Rs 7,174 crore then) in a round that was led by China’s Tencent Holdings Ltd and included existing Japanese investor SoftBank Group Corp and a few new US-based financial investors. The ride-sharing firm, set up in 2011 by IIT Bombay alumni Bhavish Aggarwal and Ankit Bhati, had previously announced a fundraising round in November 2015, when it had mopped up $500 million from Chinese peer Didi and other investors. In December last year, Ola acquired the Indian business of food delivery platform Foodpanda from its Germany-based parent Delivery Hero in an all-stock deal. 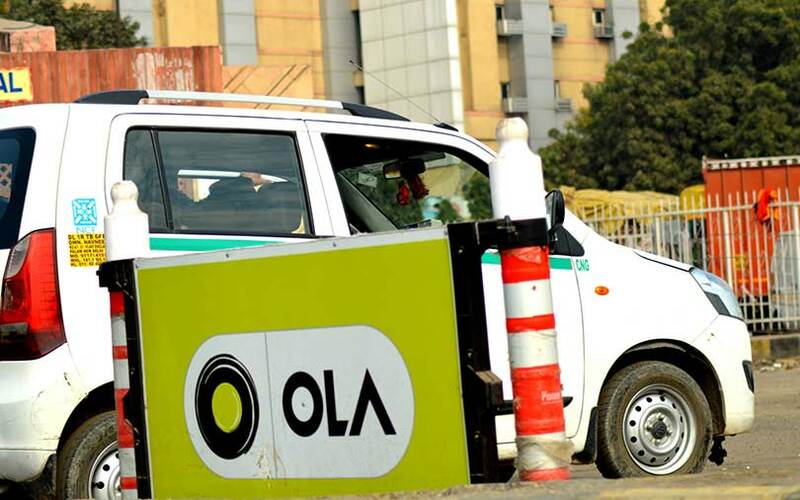 In a separate announcement on Tuesday, Ola said it is entering New Zealand. The company had forayed into Australia in January this year to compete with US-based Uber. Last month, OIa said it was entering the United Kingdom, too.